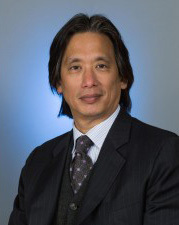 Dr. Anthony Chang is chief intelligence and innovation officer at Children’s Hospital of Orange County, a new position. Dr. Anthony Chang, a pediatric cardiologist, imagines a day when children are liberated from wheelchairs and instead zip around on robotic devices. Chang, 57, recently became chief intelligence and innovation officer at Children’s Hospital of Orange County, a newly created position designed to foster advances from within as well as collaborate with pediatric hospitals across the country. Q. Why is innovation so important in pediatric medicine? A. I think it’s even more important because of these days of economic constraints, because we’re such a small percentage of the total market. If you look at the health care dollars going into R&D from industry, it’s very difficult for them to justify for a pediatric-size device because it’s so much of a smaller market. There’s also the ethical and moral issue of helping the youngest and the weakest no matter what the financial burden is. Q. Since hospitals have so many protocols and rely on evidence-based practices, how do you encourage creative thinking in that environment? A. The two can go hand in hand. I’m keenly aware that to do innovation you need to do it with intelligence, not just with creativity. It’s sort of a dichotomy, like there’s focus on population health all over the place but there’s also emphasis on personalized and precision medicine as well. Q. Is there a particular illness or condition you want to focus on? A. I’m personally very concerned about the health in general of children and in this generation, the overweight and obesity problem; so basic cardiovascular health at all levels. What if we “gameify” weight loss and make it a game where you can get rewards for losing weight and being good and eating healthy? Something we’re going to try to do here is potentially thinking of ways to use the hospital as a platform to teach about healthy eating, not just use the hospital as someplace we go when we get sick. Q. Will you still see patients? A. Oh yeah, I actually insisted on it. To be hands-on literally will give me continued inspiration to work hard in this area to make a big difference. The emotional bond is so strong when you take care of a child with heart disease. Q. Where do you do your best thinking? A. Everyone has their own creative space. For me, looking at the ocean is where I do my best thinking. If you look at California, we’re by far the biggest innovation center in the entire world. I feel lucky to not only have the ocean as a natural inspiration but California is a great inspiration.